Why let VIP Movers take care of it? 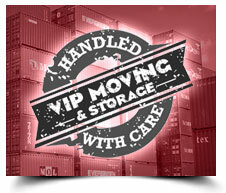 VIP Moving & Storage is a full service moving company that is entirely licensed, insured, and bonded. We are an independent Long distance moving company in Los Angeles, not a broker, and we work only with our own experienced, professional, full-time employees. Our interest is to provide our clients with excellence and quality service; we hope to make this move as easy as possible for you. Moving is a stressful time in your life and no matter how big or small the move, VIP Movers aim to reduce that stress from start to finish. VIP Moving & Storage will service all your needs from partial packing to a full packing service of your entire home, whether it’s a local relocation to an out of state move, VIP Movers are one of the most experienced packers in the industry with over 15 years in transportation. Speak to one of our friendly and knowledgeable moving consultants today to discuss the inventory and details for your move. We will offer you an accurate and binding estimate based on the information you provide us with. Consultants are there for you step by step of the way from the moment you first inquire about our services to the moment your belongings are delivered to its final destination. Call for your all-inclusive price now at (818) 986-1780. I had a horrible experience with VIP. I worked with Jay, who was great - told him the pounds we were moving (from Dallas to SF) and received a quote, the actual bill was 17% higher. I knew the pounds based on a move one year earlier, then they quoted on Sq. Foot giving estimates based on lbs. On this, buyer beware.I was told verbally by Jay, and in person during the pick up, the delivery would be between 7 - 10 business days. After 7 days I called and spoke to Dan who stated that according to the contract it could be up to 21 days. Again, buyer beware - read your contract.The real problem comes with delivery. According to their website, "VIP Moving & Storage is a full service moving company that is entirely licensed, insured, and bonded. We are an independent moving company, not a broker, and we work only with our own experienced, professional, full-time employees." I was also told this on the phone by Jay when negotiating our contract. This was not true for me. After complaining to Jay about the move in, he stated, "oh, sometimes we need to use independent drivers who own their own rigs. "The driver "Mike" arrived (with 2 individuals to complete the unpacking - after craziness happened and Mike left the job, they told us they had been working for him for 4 days, one of the movers also told us he had a felony and how difficult it was to find work) and told us we had a very large move. (We were moving into a 1500 sq ft house.) and due to this he would move all our boxes into 1 room and place our furniture. I told him this was not in our contract, and that he needed to put all the furniture together that was taken apart. His response, "I will make you happy"To go into complete details would be too long here is a list of what happened to us.1. No inventory list checked off as boxes came into the home. -corporate computer missing2. After 3 hours of moving boxes into our garage and driveway boxes started to arrive in home.3. After 6.5 hours of moving boxes, furniture began to move into the home. When we told them where the furniture was to be placed, they stated they were not going to put the furniture into the rooms. Stated my husband (who is not on the contract) altered the contract when he stated our bedroom frame would not be put together due to boxes placed in the room first. He pulled out his phone and had a voice recording of my husband (my husband wasn't told he was being recorded) and of course, didn't have the recording of me telling "Mike" 10 min later that it was a mistake and they needed to put the furniture together.4. Mike told the movers to take all the blankets off our furniture in the driveway and they were not going to bring the furniture into the home. This is as dark is approaching over 7 hours into our move. He later decided to move the items into our home.5. Mike walked off the job, we learned for a date that night. He did leave his two workers. (who i have yet to receive bonded info on these individuals. if i get it, i will amend this statement). I have now asked Dan at VIP for this twice. 6. After having furniture bumping into walls, and witnessing that they couldn't put a simple metal bed-frame together, we simply had them move our furniture into the home and not put it together. 7. Knowing some items were missing (chairs) we were on the van looking through blankets and other individuals items we found our chairs and other items we hadn't know were missing.8. After 3 hours of being gone, Mike called and asked if the job was complete. And if they did a good job. When I said they were done, but he didn't do a good job, i got pressure to continue to say they did. I believe i was being recorded so that he would have "proof" that i was happy. I was extremely fearful of retaliation. Moved my car blocks away - couldn't put it in the garage as it was full of boxes.After complaining to VIP - both Jay and Dan, Dan offered to have 3 individuals come to our home 2 days later and put together our furniture. While it was a nice gesture, we couldn't wait to complete our move. We have two small girls and both work. We couldn't put our unpacking on hold to wait for furniture to be placed and put together. After presenting video of the state Mike was going to leave our belongings, filing a police report due to the missing computer, not having contract fulfilled by having furniture in pieces, showing damage to dining room table (blanket wasn't wrapped around corner and therefore corner is damaged) and explaining that tape had been used on numbers dressers and now needed to be treated specially to be removed. Dan offered 10% compensation. 10%. Beware of this company.